Dan has been in the finance industry for over 12 years, has a passion for numbers, and ensuring his clients are well taken care of. After his graduation from university he has dedicated himself to helping others achieve and protect their financial goals. He is always looking out for our customer by educating them on the right finance and protection options available to them from our many lenders. In his spare time Dan loves to spend time with his friends and family and especially his 12 nieces and nephews. He and his wife Holly enjoy travelling and learning about the history of new areas. He also loves being outdoors and going on walks with Holly and pup Georgia. Dan is an avid sports fan and played basketball all throughout his university career (Go Celtics!) and continues to play and be active in the sports community. If you have any questions or concerns, please do not hesitate to call or email he loves to talk. Todd joined the team at Sackville RV in April 2019. He come from the auto and powersports industry. He enjoys camping and powersports when he's not at the office. Andrew joined the Sackville RV team this year. He comes from the RV industry with 10 years experience. He would be more them happy to help you find your new or used RV. While he's not at the office he enjoys spending time with his family. 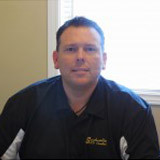 Mike has been in the service and sales industry for more than 20 years. Mike has joined Sackville RV in June 2018 is focus is to provide excellent customer service while developing friendships.Mike also enjoys spending time with his family and also enjoys his travel trailer at Loch Lomond's campground. Michel est aussi bilingue pour server nos clients francophone. Darren has been in the service industry for over 25 years. Darren has joined the team in June of 2017 and is fully focused on providing excellent customer service. In his off time he enjoys spending time with his family. He also enjoys camping, fishing and music by the campfire. Cindy Joined the Sackville RV team last year. She comes from the hardware industry with 25 years experience. Cindy would be more them happy to help you with all your camping parts needs. In her spare time she likes camping and crafts as well as being outdoors.